One tip relating to bassline / sub content in bass music. You should be able to hum or sing the melody of it, ideally. What do I mean by this? Every now and then I receive songs for mastering that have a really messy low end – boxy, rumbly, undefined – and it’s genuinely hard to tell what the sub is doing or hear it properly. Sometimes it’s because the sub of the kick and bassline are clashing badly, and they just get really messy as a result, or maybe your bassline doesn’t have enough sub content. My tip does not mean that your sub should be a melodic masterpiece. 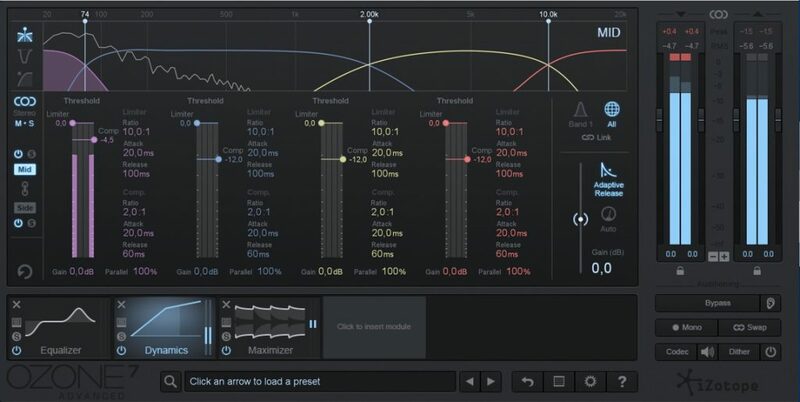 If you have a multiband plugin that lets you isolate a certain frequency range (e.g., Ozone), set the lowest band to <74 Hz. Solo the band and listen to it. You’ll find that in a really well mixed song (check your good and trusted reference songs), you can usually hear the sub “melody”. Even if it’s just one note, it has to be a clear note. If you’re hearing an undefined mess, it often means there is a problem. In most cases you’ll get a bit of kick drum there as well, but in songs that are well mixed, you’ll find it still sounds quite clean and they’re not creating a mess at all. So, make sure your bassline has enough sub content (here’s my old blog post about it: https://fanumusic.com/production-get-your-sub-bass-right/) and that it plays low enough and that your kick peaks above the sub OR if they peak around the same frequency, make sure they’re not hitting at the same time. Isolating the low band is a helpful tool in this.